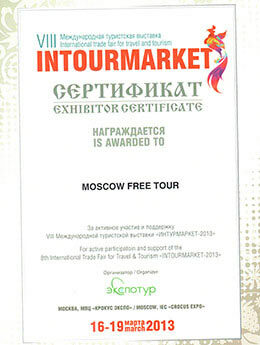 Moscow Free Tour | Компания №1 в рейтинге экскурсий для иностранных туристов. 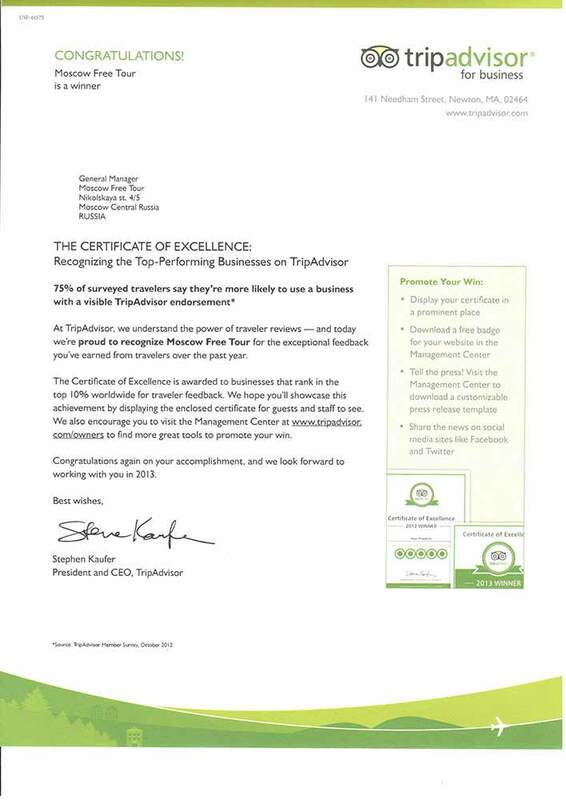 ON TRIPADVISOR FOR THE LAST 5 YEARS? 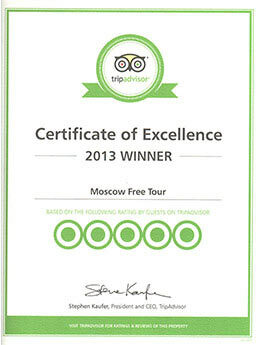 Top-rated tour company in Moscow on TripAdvisor! Great routes which cover all the must-see places, as well as sights off the beaten track! 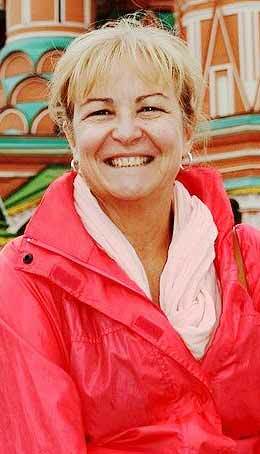 Charismatic, entertaining and experienced local tour guides who love Moscow and speak English fluently! We love our city and we want to share it with guests, regardless of their budget. The Moscow Kremlin is a must-see attraction in Russia, a beautiful fortress in the heart of the city full of history and legends. It used to be a residence of Russian tsars and communist leaders and now it’s a working place of the president of Russia. «They used to have palaces for kings, we are going to build palaces for the people!» said one of the main architects of the Soviet subway. A short walk from Red square and St. Basil’s cathedral and you will find yourself in a neighborhood full of mystery, urban legends and myths. You will see how Moscow looked like in the nineteenth century, take a ride on a historic tram and listen to amazing stories about ghosts, famous criminals and eccentric merchants. Ticket for all the daily tours valid for 7 days. If you buy all 3 tours at the same time you get a - 10% discount! 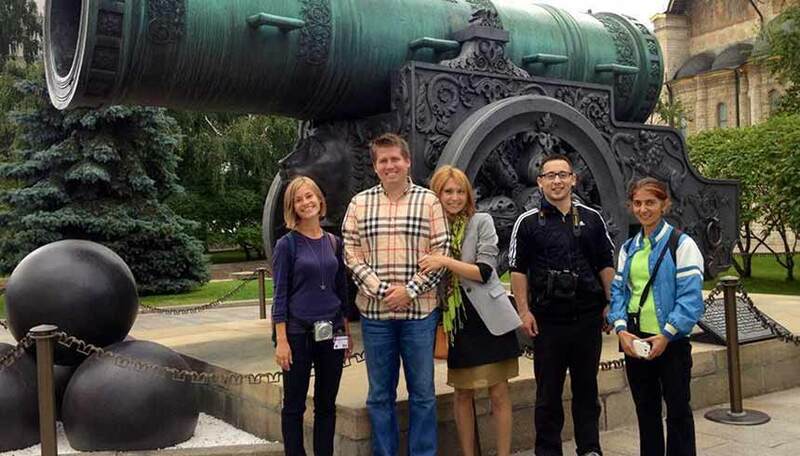 and confirm that our guides are the best in Moscow! 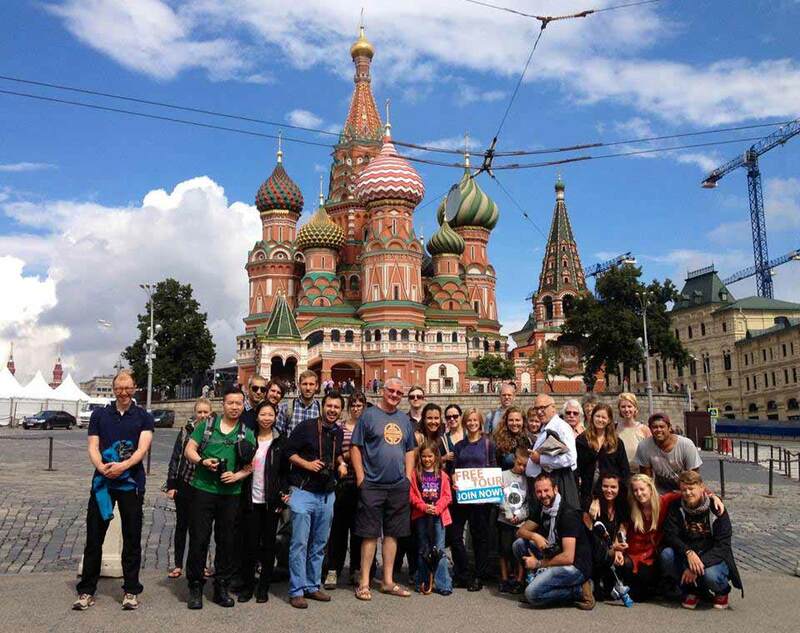 Moscow for Dummies Tour designed to make your Moscow experience unique and make you feel the lifestile and the atmosphere of our mysterious city. 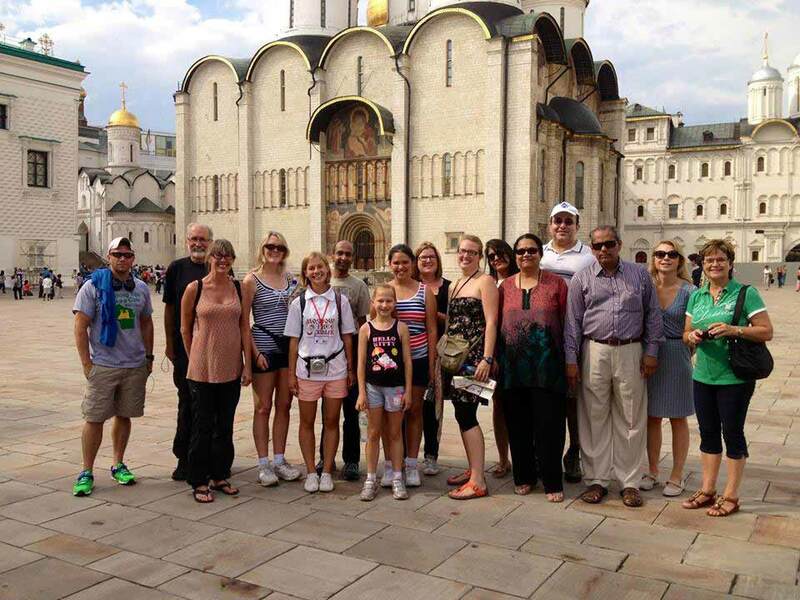 On our Moscow Private Car Tour you will see everything or almost everything you wanted to see in our city: the Kremlin and the Red Square, ancient cathedrals and convents, magnificent panorama of Moscow from the Sparrow Hills, gorgeous Victory Park on the Poklonnaya Hill, famous Old Arbat Street and all the most beautiful Moscow streets and squares. AK-47 shooting, an adventure for real men! 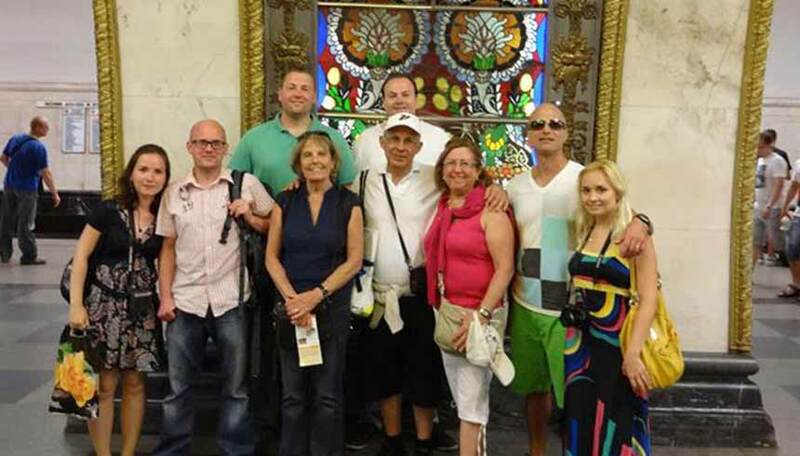 For those who want to explore the city on their own, or choose a convenient time of the tour we offer private guiding. We will develop your itinerary based on your interests, or go wherever you want. We will meet you in a hotel lobby at a convenient time, and then drop you back to the hotel or the place you want to finish at. 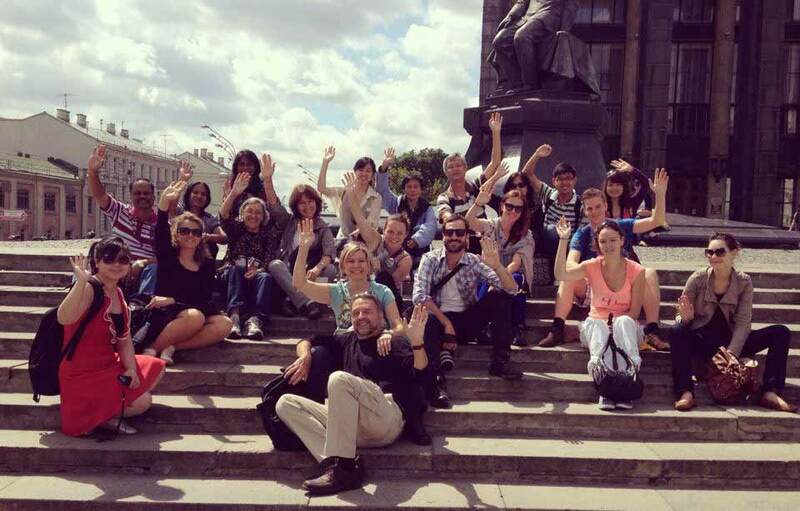 Our Moscow Forever Tour is the best way to explore all the must-see sights of Moscow just in one day. 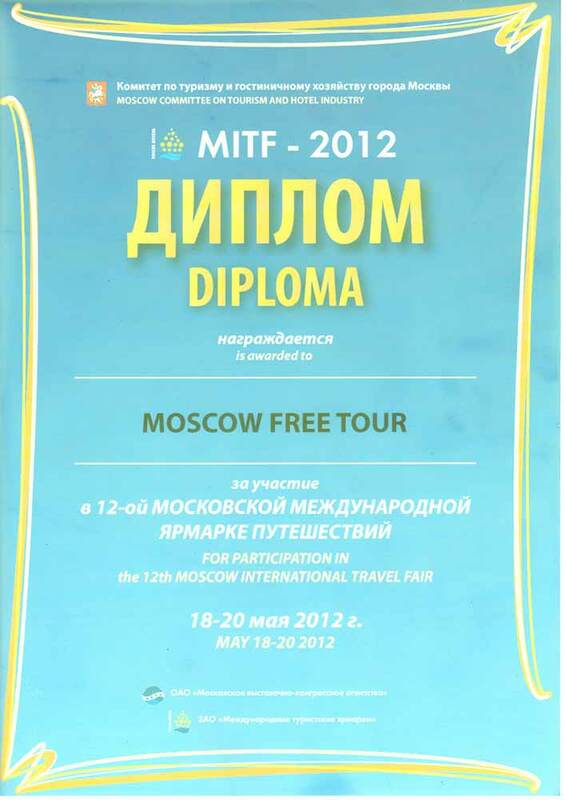 Ideal for business tourists and for those who pass Moscow on transit. What do you know about Moscow? Vodka, cold winter, Red Square? Russian bath is one of the most famous landmark of our country. 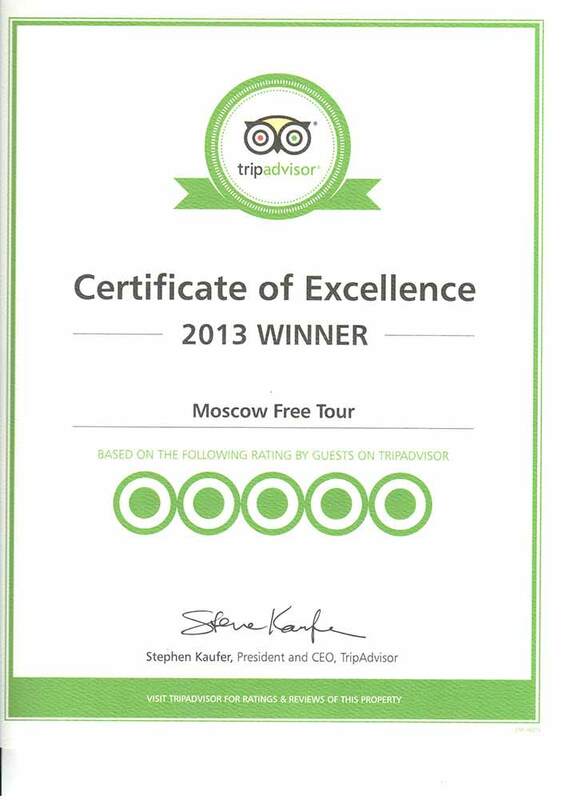 It is an amazing experience that you should not miss while in Moscow! 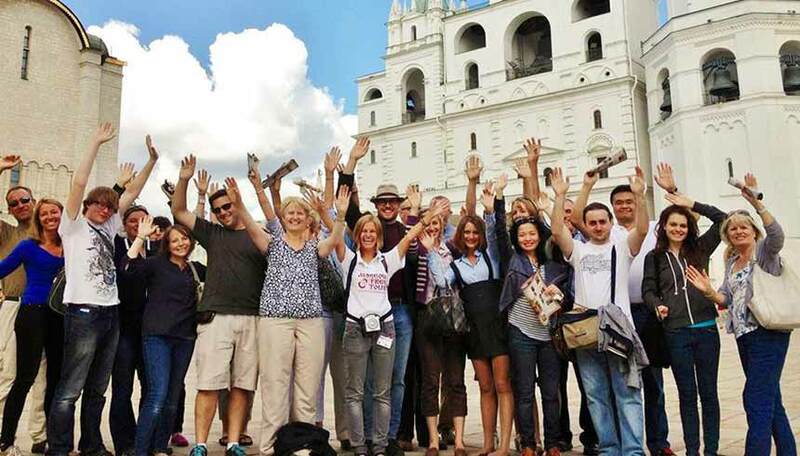 Are you travelling in a large group and looking for a tour? If you book a tour with us, high quality service and the best price will be guaranteed. pick up/drop off and make your traveling experience in Mosocw as pleasant as possible. ABOUT OUR TOURS Click on the photo to read review. 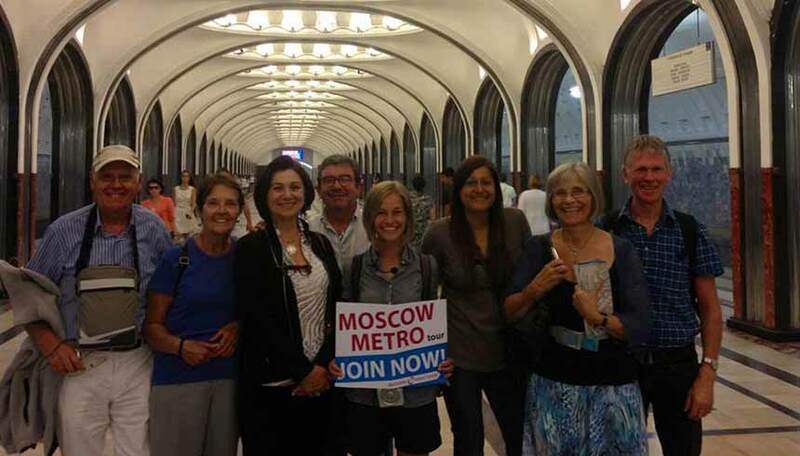 "We took the Moscow free tour, the Kremlin and the Metro tour. The three of them were great, very informative and easy to follow. 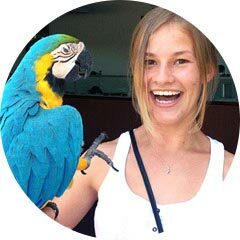 The guides not only are very knowledgeable and prepare they're very sweet and very attentive." 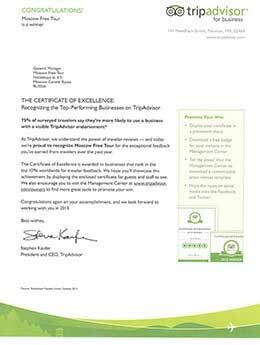 "....Was excellent. Join it, if you can. 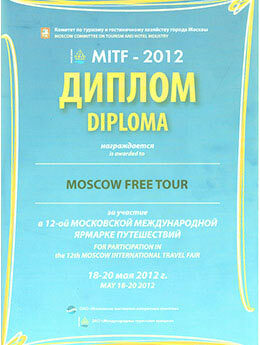 We joined Irina for the free tour. 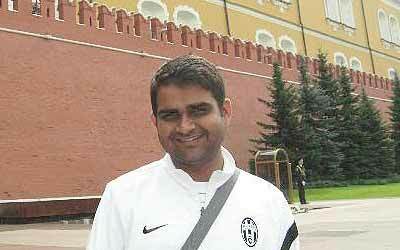 It was a warm welcoming to moscow." 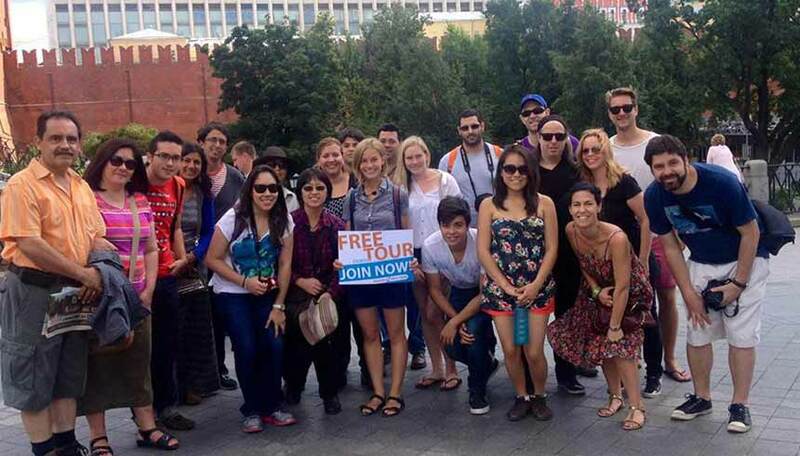 "After this morning free tour, they had three more paid tours. We did, and loved, all of them. 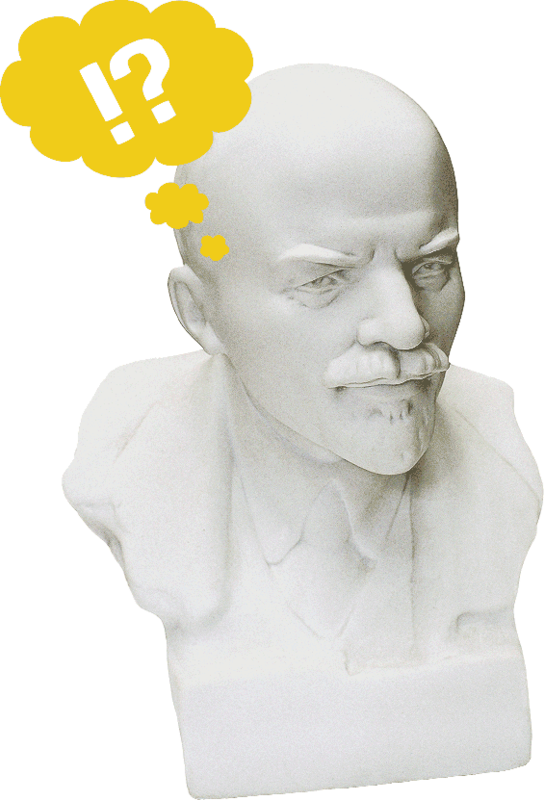 During our time in Russia, we met lots of grumpy people who spoke no foreign language. These guides, however, were the most friendly and had a masterful command of English." 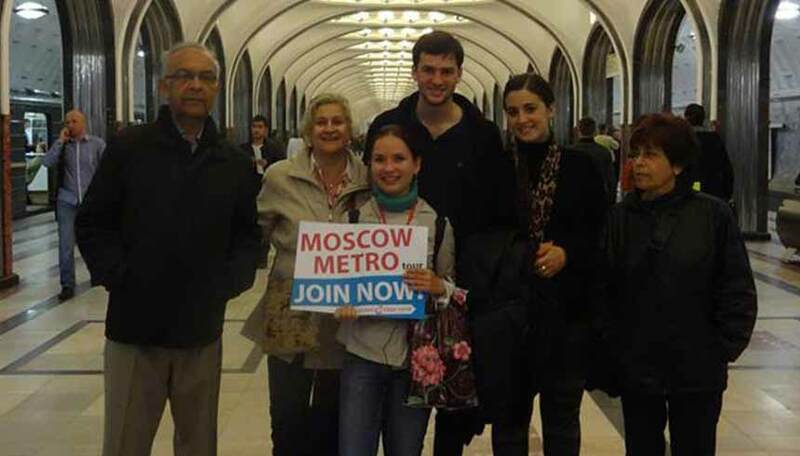 "My friend and I joined Elena's Metro Tour and Communist Tour this afternoon. Elena was really knowledgeable on her tour topics. She was able to share many insights and expressed her honest opinions during the Communist Tour. She was really helpful too. Thumbs up!" 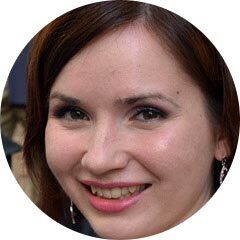 "great start to get to know the centre of Moskow and get interesting datails that you wouldn't otherwise stumble upon"
"We booked the free tour of Moscow and were met by a very nice young lady, Irina, who guided us. Very interesting and informative with lots of little Russian jokes, see the Russians do gave a sense of humour! 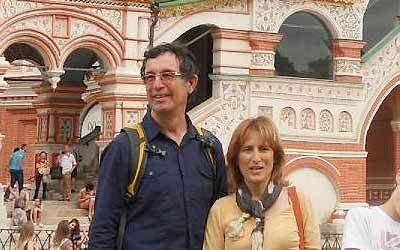 We saw Red Square, St Basil's Cathedral (outside), Alexander Gardens and the Kremlin (outside). Again, all highly recommended." "Seriously the best tour to follow! 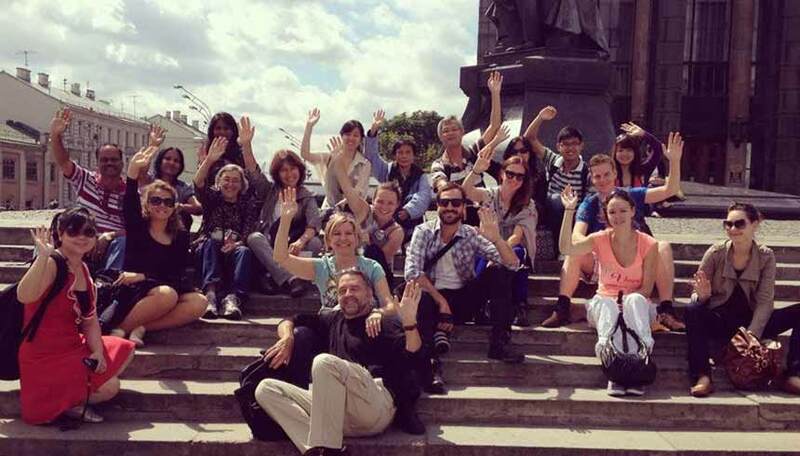 When arriving in a new city you might not know where to start therefore with this free tour you will get the best introduction about the city. What I found the most interesting was the personal touch of the guide; not only she spoke about the city and the story but also about the personal habit of people in Russia according to the period of time, she spoke about legend, little stories so here you really see the advantage of a guide. 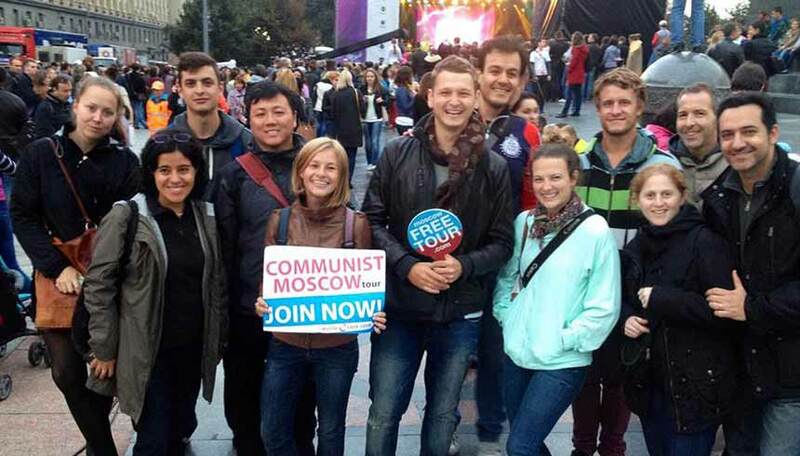 Just do it you won t regret it"
"The Communism Tour is an exceptional experience. 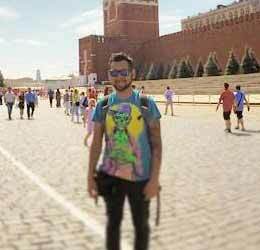 If you want to see the other face of Moscow (not this 'tourist' one), you must join them! The excursion shows places you've perhaps already seen, but the story you will hear about them during the tour, will thrill you! " 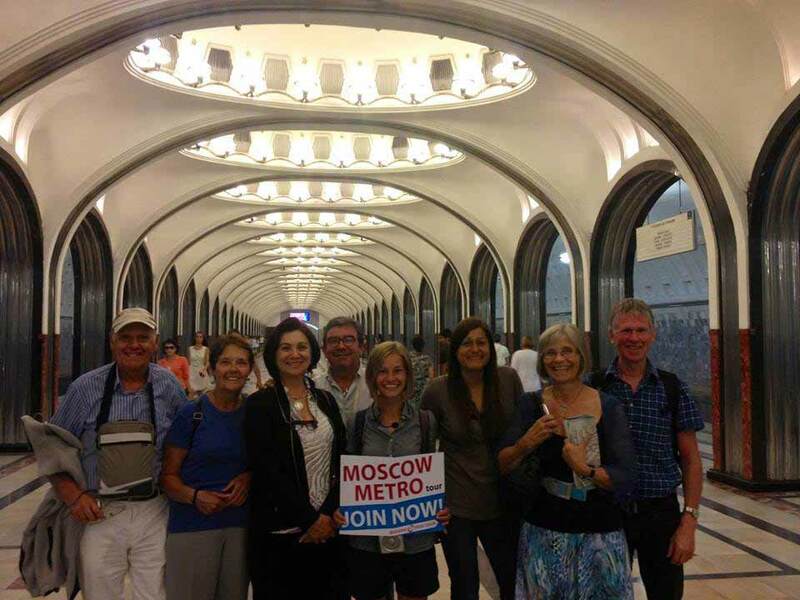 "We took all 5 Moscow walking tours during our four days stay in Moscow in June 2015. Our guides were very helpful, friendly and full of knowledge. The meeting points were easy to find. The email communication was very smooth. Thank you very much!" 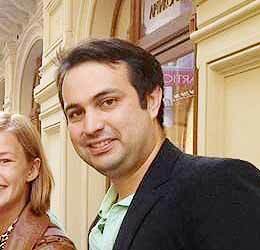 "Had a very amazing morning with Marina in Moscow last month! Marina knows a lot of stories about the city. She is very passionate. Highly recommend to everyone!" 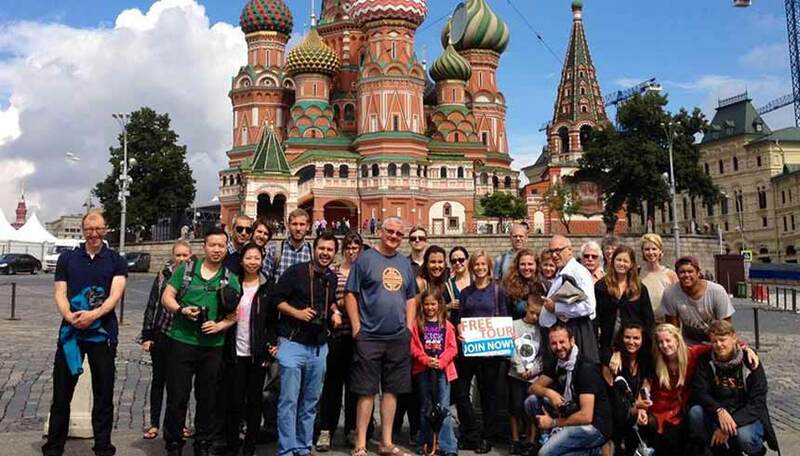 "ВThis is a free walking tour of Moscow taking in some of the most famous sights (St Basil;s, Red Square etc), you can tip you tour guide at the end if you wish but you really are under no pressure to do this. I did as our tour guide was amazing." 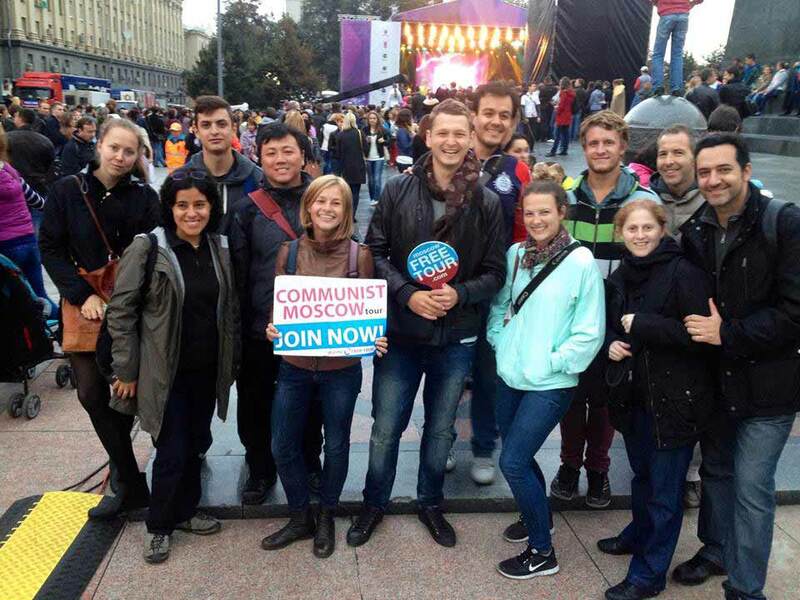 Please, meet our team, people crazy in love with Moscow. From the very first minute we're at your disposal. and do love my city. to the path of guiding. more I want to discover it. to share my love with people. is true happiness to me. 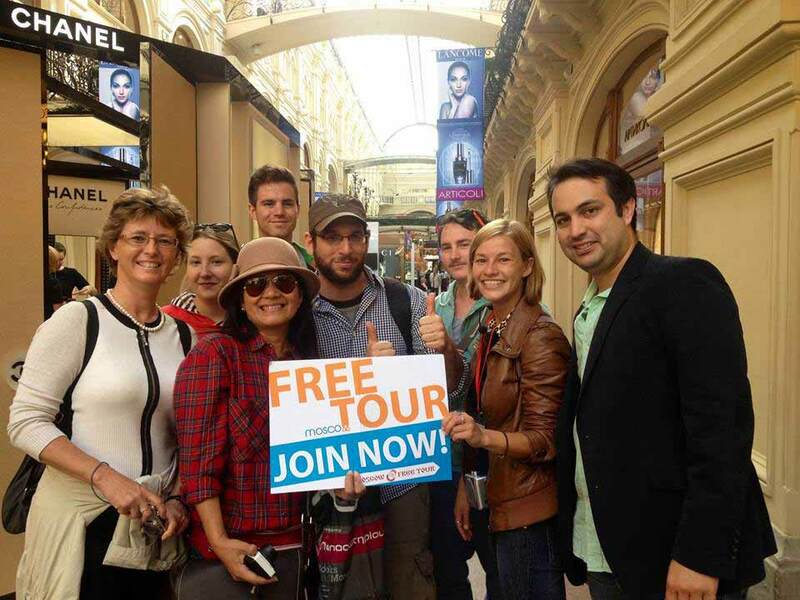 Why is the free tour free? What will we cover on the free tour? 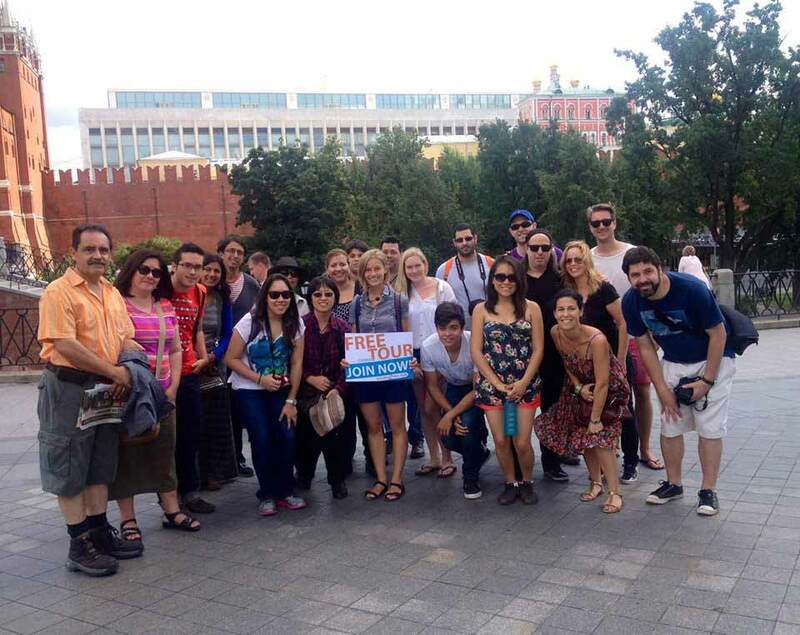 On our Free Tour you will walk in the very center of Moscow and see all the major attractions of the city: the Red Square and the Kremlin, St. 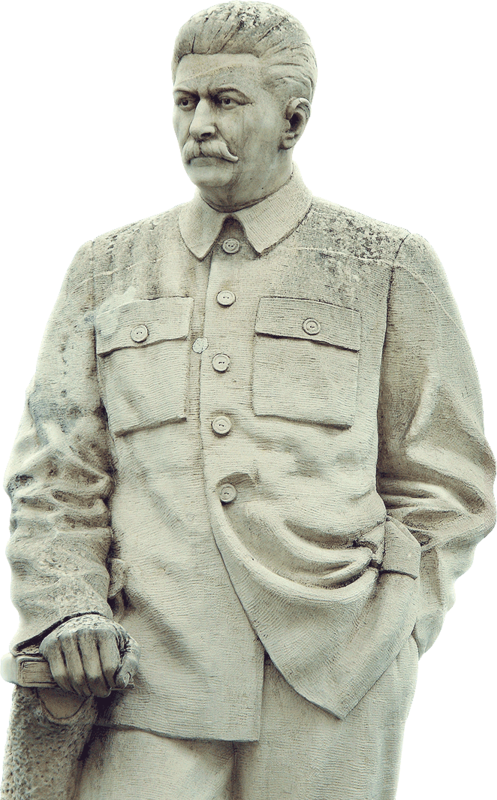 Basil's Cathedral and GUM, the Grand Theatre and the changing of the guards at the Tomb of the Unknown Soldier. 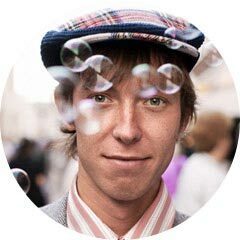 Our guides will tell you a lot of stories that you can’t read in the guidebook, and, of course, will give you insider tips, to make it easier for you to navigate in our great city. 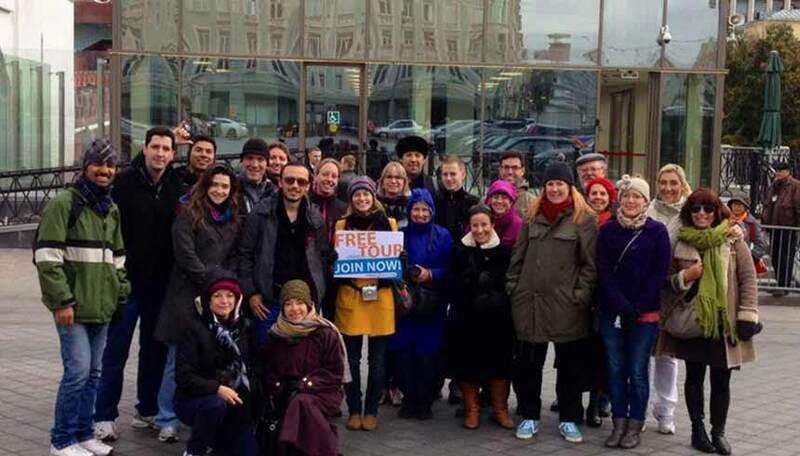 How can I join a paid tour? 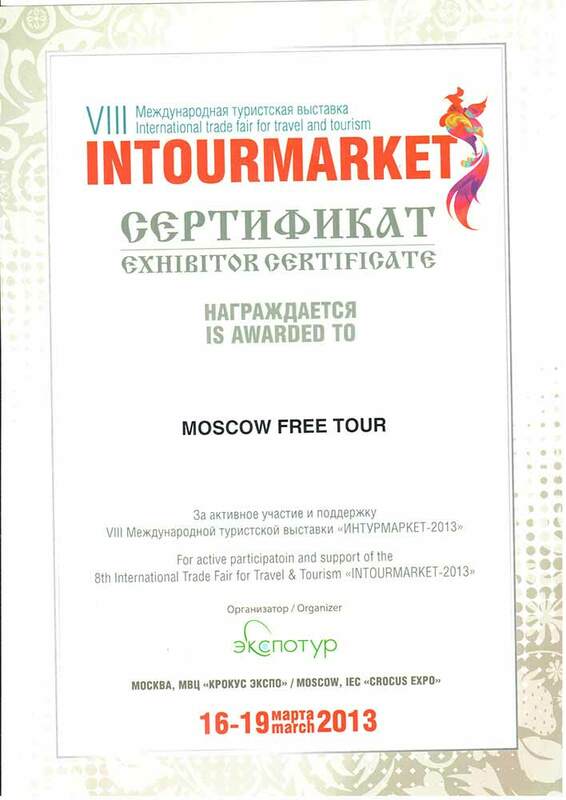 We are the only company in Moscow which offers daily tours with no prepayment. Our schedule is the same every day - see it on our home page. You can book your tour in advance (payment is not required) or just join it after the Free Tour - guide will show you the meeting point for each tour. Is it possible to do several tours in one day? Yes, of course! Our daily tours grid is designed so that you can just follow the guide all day long. You will anyway have time for lunch and dinner. 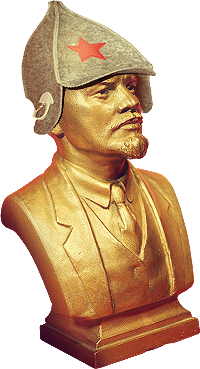 Shoud I make a prepayment for the Kremlin tour? 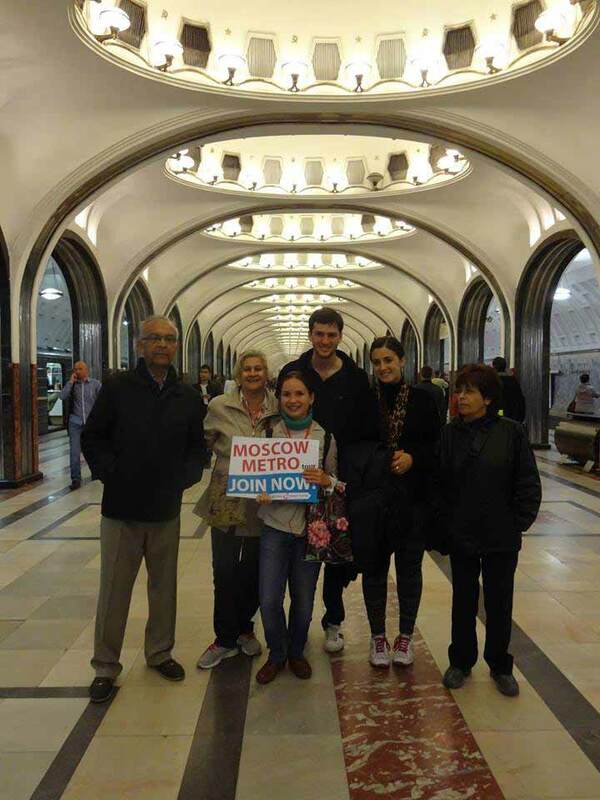 We are the only company in Moscow, which offers daily * tours to the Kremlin without prior booking and payment. 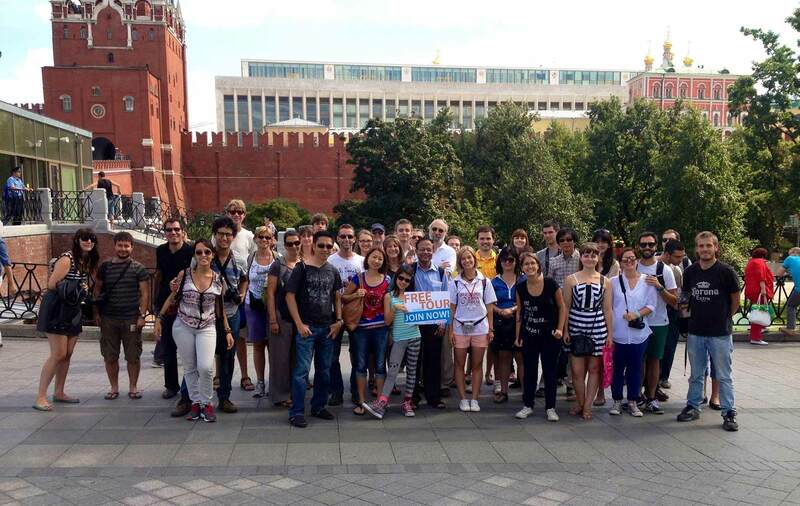 Decide after Free Tour if you want to join the Kremlin Tour - and just join! 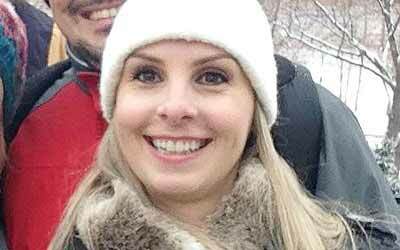 Can I book a private tour guide? Yes, of course! 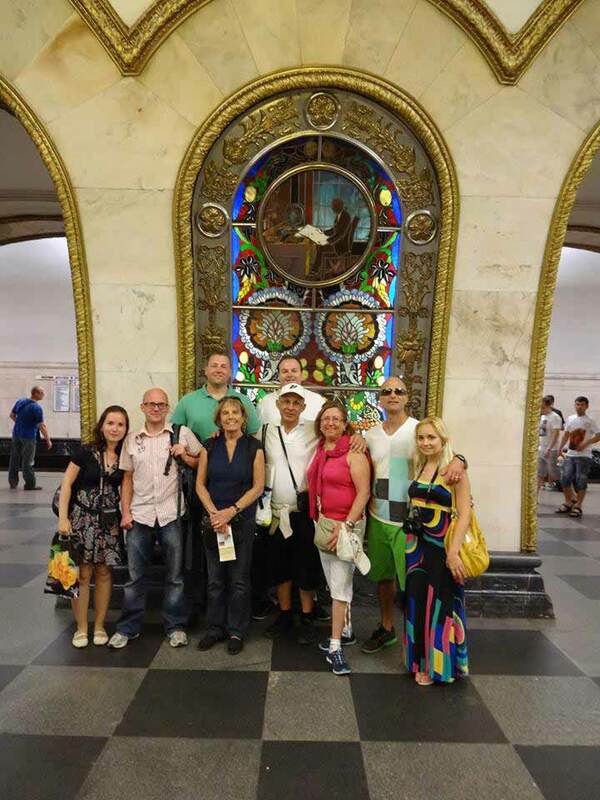 For those who want to explore the city on their own or choose a convenient time we offer private guiding. We will meet you in a hotel lobby at a convenient time, develop your itinerary based on your interests, or go wherever you want, and then drop you back to the hotel. Are your tours walking or by bus? Our daily tours are walking tours. However, we can arrange a tour by car, minivan or bus. It can be a sightseeing tour of Moscow or the trip to the Golden Ring. the world's largest travel site). 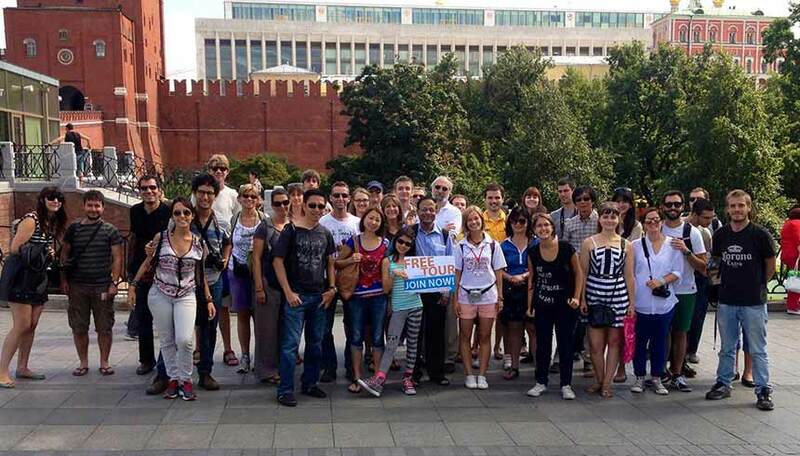 walking tour in the city center in English for everyone. 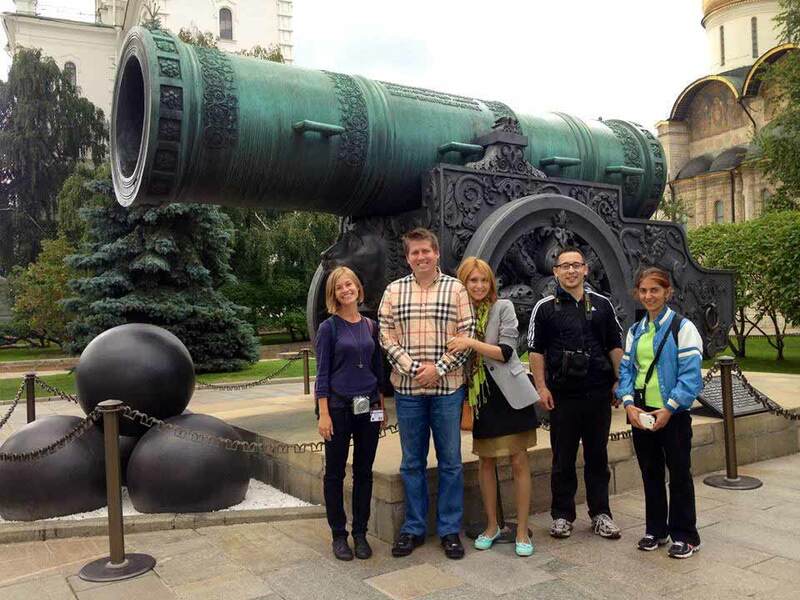 This tour allows our guides to show their experience, professional skills and enthusiasm. including the Kremlin, regardless of the weather, day of the week and group size. and pleasant and offer your clients the best service in Moscow. Our goal is to develop bilateral cooperation. 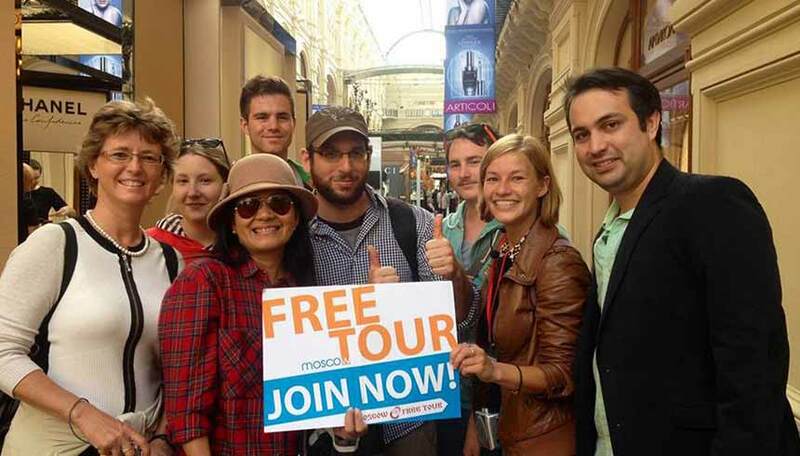 HOW CAN A FREE TOUR BE THE BEST IN MOSCOW? All our guides are not only professionals of their job. 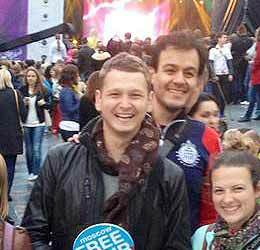 They are first of all bright personalities with open hearts, who love to meet new people, share experiences, have fun, and know all the ins and outs of the city. Our guides are self-employed, which means their income is based only on your tips. 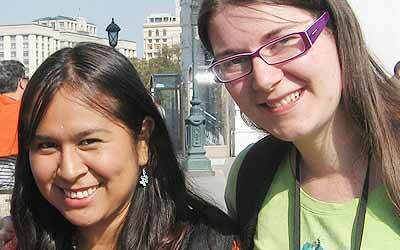 That motivates guides to do their best in making the tour bright, interesting and memorable. 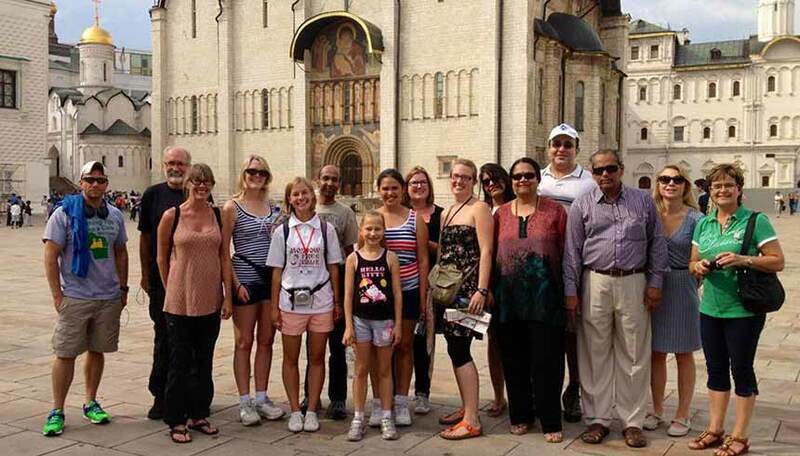 We firmly believe that if money is given for a Tour, it should be voluntary and in direct proportion to the quality of the tour and the budget of the traveller. 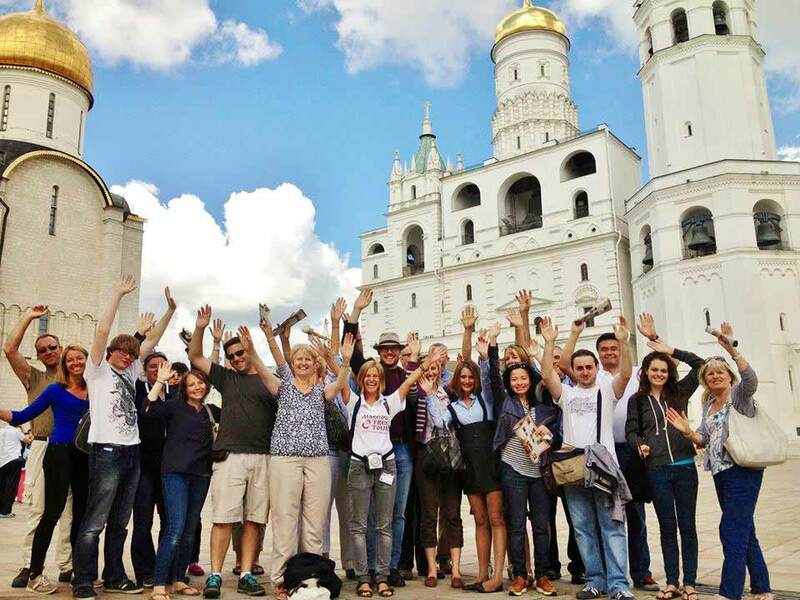 Even though our guides appreciate tips, your applause means so much more to them, and they’re happy to welcome you as their guests over and over again, as each new Guide has a different story to tell about Moscow! We believe the tour is not the history lesson - it is an emotional experience! We won't bother you with tons of facts, but rather tell you urban legends, interesting stories, and funny jokes! 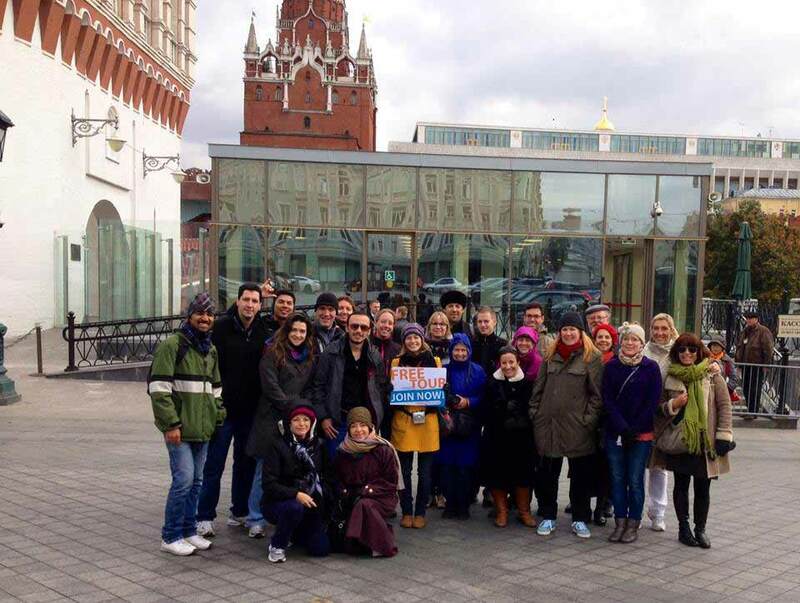 Yes, we do our tours even in the Russian winter! Be sure, we’ll never let you become cold. We always stop in the middle of the tour for a cup of hot tea or coffee! 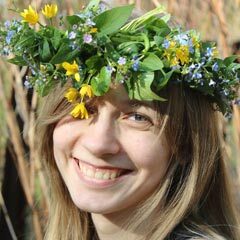 Проведем познавательные экскурсии для школьных групп любого размера. 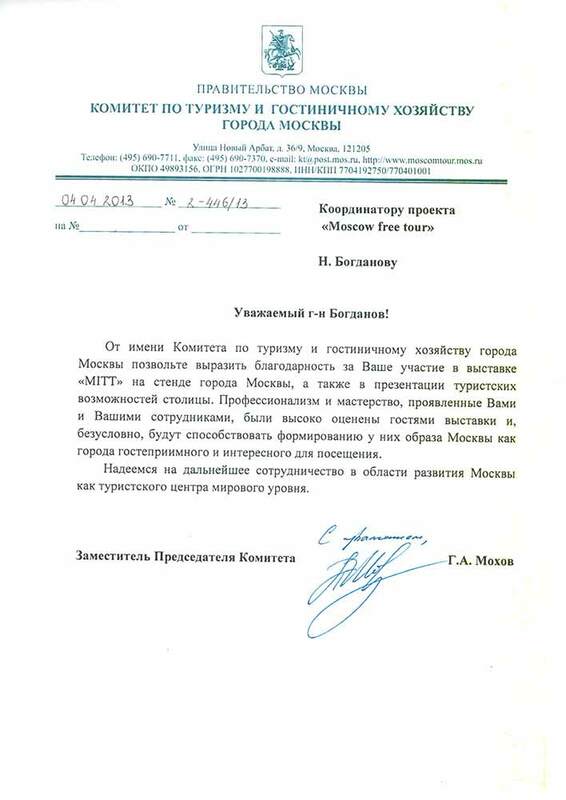 Вы можете заказать не только экскурсии по Москве, но и выездные туры в Суздаль и Сергиев Посад. 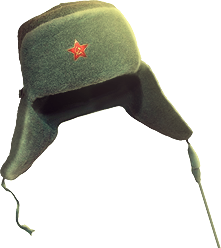 Бронирование абсолютно бесплатное. 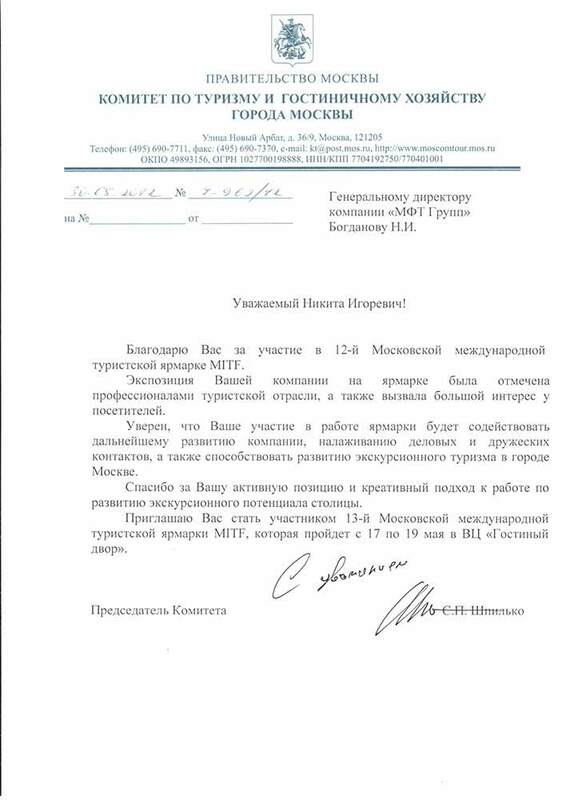 Детали придут на E-mail. 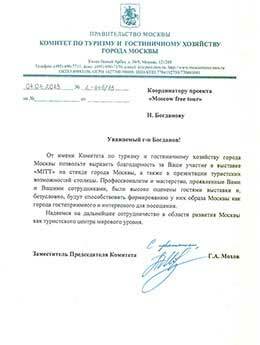 Мы предлагаем высокое качество обслуживания по лучшим ценам в Москве. 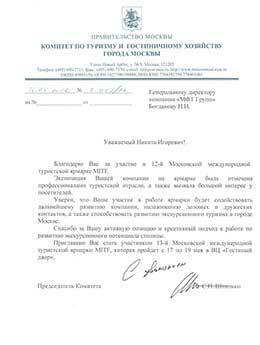 Организуем тур для группы любого размера, организуем трансфер, предоставим комфортабельный автобус с кондиционером и услуги лучших гидов. 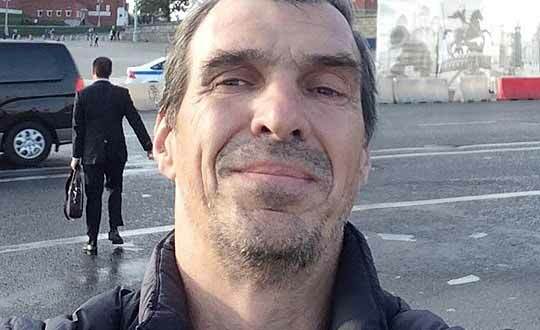 Мы проводим частные туры не только на английском, но и на испанском, немецком, французском, португальском, китайском, японском языках. Answer for less then 15 minutes.